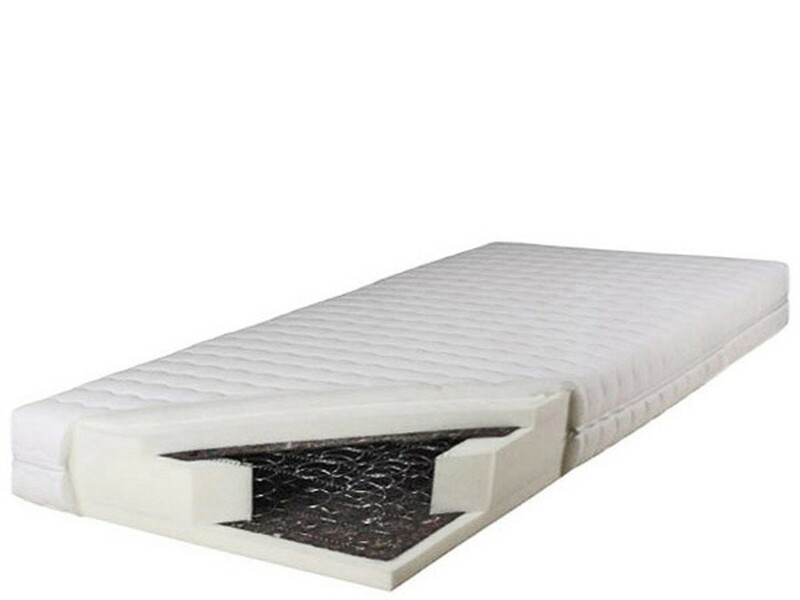 The mattress is made of an innovative 7-zone spring system - MULTIPOCKET and latex. The latex used for production is made of natural rubber resins thanks to which the mattress becomes extremely elastic and perfectly adapts to the body. 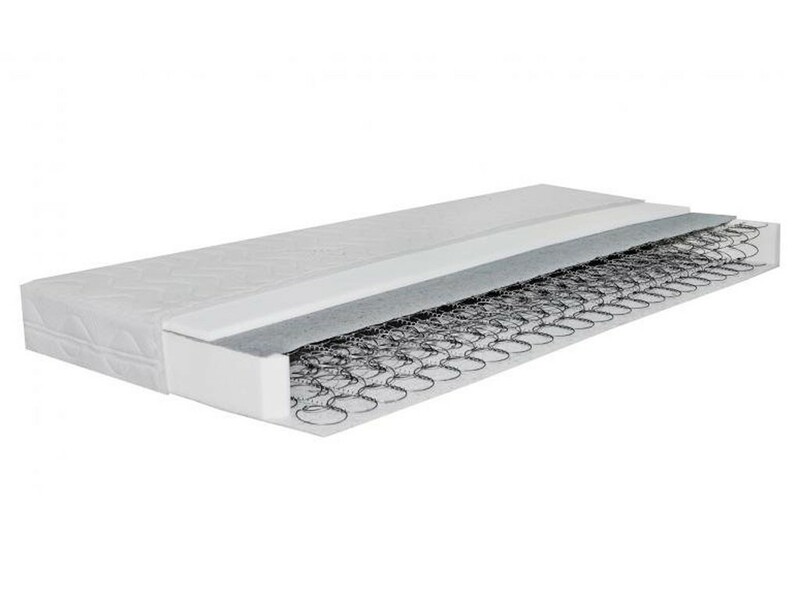 The excellent permeability of each layer creates the proper air circulation, thanks to which the mattress has anti-fungal and anti-allergic properties. Aloe Vera cover - hypoallergenic cover with aloe vera finish. Thanks to its properties, aloe vera works relaxably improving the quality of sleep. Quilted with a weight of 350 g / m2. Removable for washing. The combination of highest quality components provides balanced pressure distribution and sufficient body support. These properties ensure a relaxing and healthy night?s sleep. available width: 80, 90, 120, 140, 160, 180, 200cm. The optimal composition and unique properties of the profiled and incised high quality mattress foams ensure perfect body support regardless of weight or sleeping position. The innovative system of inner incisions and the profiled topping have been designed to maximise the feeling of comfort. The mattress provides a luxurious and relaxing rest. Core: coils (pocket-type), covered on both sides with 4cm-thick polyurethane foam sheets. Mattress equipped with an innovative, 7-zone system of springs - MULTIPOCKET and thermoelastic VISCO foam. Thanks to the use of a unique, thermoelastic foam, the mattress responds to heat perfectly adapting to the body. Reduces pressure on individual parts of the body, which improves circulation and relaxes the muscles, giving a feeling of incredible comfort. Excellent permeability of each layer, creates adequate air circulation, so that the mattress has anti-fungal and anti-allergic properties. Aloe Vera cover - hypoallergenic cover with aloe vera finish. Thanks to its properties, aloe vera works relaxably improving the quality of sleep. Embossed with a weight of 380 g / m2. Removable for washing. Core: bonnell coils sandwiched with highly flexible polyurethane foam sheet. Washable cover. A medium hard mattress - an extremely comfortable combination - suitable spandity and hardness in one. 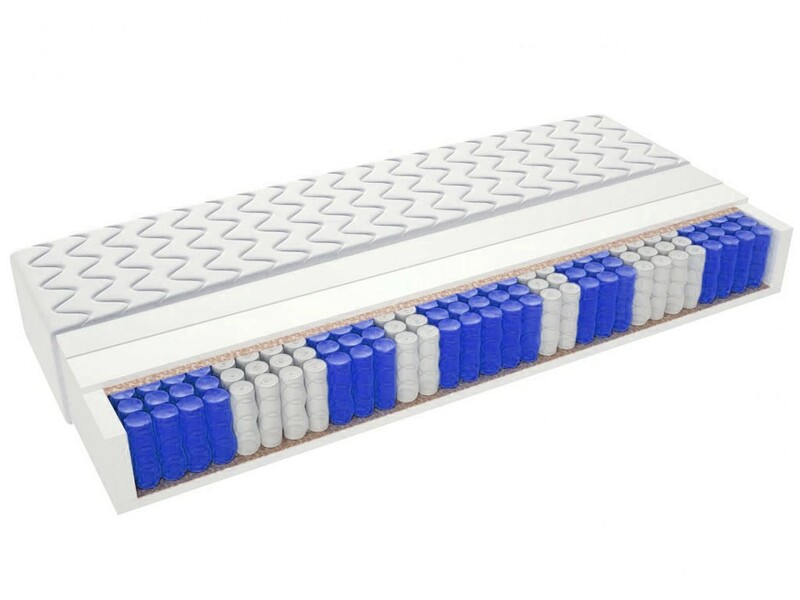 Mattress equipped with an innovative, 7-zone system of springs - MULTIPOCKET. Thanks to the properties of the used foam, VICFOAM gives a strong, even support for the spine while maintaining adequate flexibility. Core: bonnell coils sandwiched with 4cm thick polyurethane foam sheet.